Praeses has provided its clients with independent and objective management, oversight, and consulting services for external inmate telecommunications for nearly two decades. Praeses’ clients have begun leveraging Praeses’ market knowledge and experience across an additional service area – correctional food service. Praeses’ experience in contract management, vendor procurement and oversight provides its clients with an enhanced Request for Proposal (“RFP”) process, maximizing cost savings. 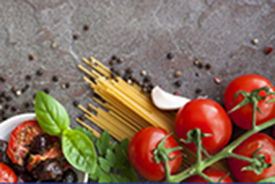 Further, with ongoing oversight, management and consulting services the food service environment improves operationally as well as economically. The RFP and contract negotiation processes can be challenging and extremely time-consuming. We work with you and your team to understand your unique needs and guide your organization through the process of creating and submitting RFPs, communicating with potential vendors, evaluating respondents and providing subject matter expertise in the selection of the provider to fit your needs. We manage the process so that you can focus on operating your facility. The management of the inmate food services process can be very burdensome for facility staff. We act as an extension of your organization, work alongside your staff and help save you time. Reconciling and validating accuracy of the meal count, meal type, and invoices takes expertise and time. We validate each of these for the life of your current contract.